Infidelity, betrayal, and a chase to the death. At the end of her child-bearing years, the Athenian Creusa seeks an answer as to why she is unable to bear children with her husband Xuthus. In her quest for answers, she finds herself at the temple of Apollo where she meets and converses with a stranger. What she discovers about this stranger will change the rest of her life. 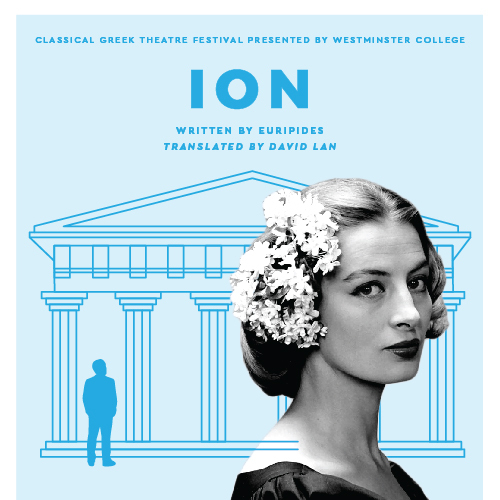 Often considered one of the most beautifully written play by Euripides, the Classical Greek Theatre Festival and Westminster College are proud to continue the tradition of keeping Greek theatre alive in Utah for more than 30 years. This performance will be held in the outdoor amphitheater and will include wine and beer sales, a brief pre-show lecture, and a post event meet and greet reception with the cast.